Azure, Celeste, Navy, Turquoise and Ultramarine. These are just some of the shades of blue one can experience at Hotel Eden Roc on Lake Maggiore. The majestic lake is softly nestled between two mountain ranges on the border of Switzerland and Italy. And on the Swiss end of the lake is the town of Ascona, a place with so much charm that we simply cannot stop going back. 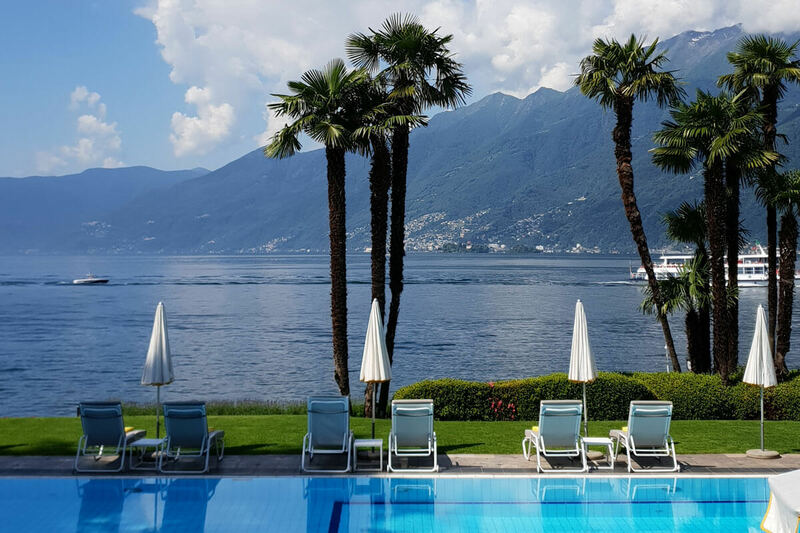 So we check in for a summer weekend at the Hotel Eden Roc in Ascona. During June, summer weather is not always a given up north. But in Ticino, temperatures are already mild yet high season is still a few weeks off. The perfect time for us to pack our swimsuits and to see the light at the end of the Gotthard tunnel! The Hotel Eden Roc is unique in that lakeside real estate in Ascona is no more. The hotel itself owns probably close to 100 meters of exclusive access - a fact that has not escaped us when we would pass by on a ship with eyes wide open. Yes, we have always been wondering what it would be like to stroll across the manicured lawns, sit in the shade at the hotel's own grotto restaurant or take off in a speedboat from the marina. This weekend, we are about to find out! A member of the Leading Hotels of the World as well as Swiss Deluxe Hotels, the Eden Roc Ascona is giving us a sweet taste of luxury. From heated bathroom marble floors to sweeping views of the lake and a golden key concierge who can fulfill any wish, we quickly find out the meaning of the name. It could be seen as a sort of "eden" when you are tucked away on these lush hotel grounds with many different access points to the lake. 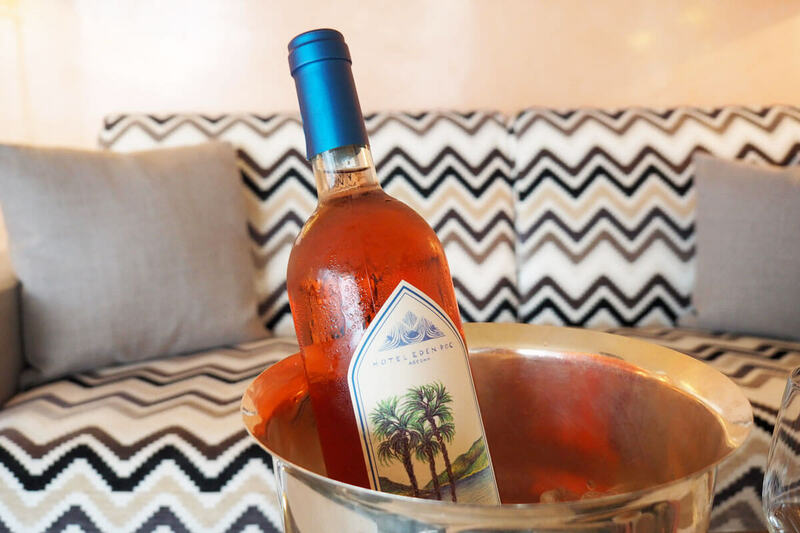 A few minutes after settling into our suite, it's "knock, knock" and a concierge presents us with a chilled bottle of house rosé and seasonal appetizers. 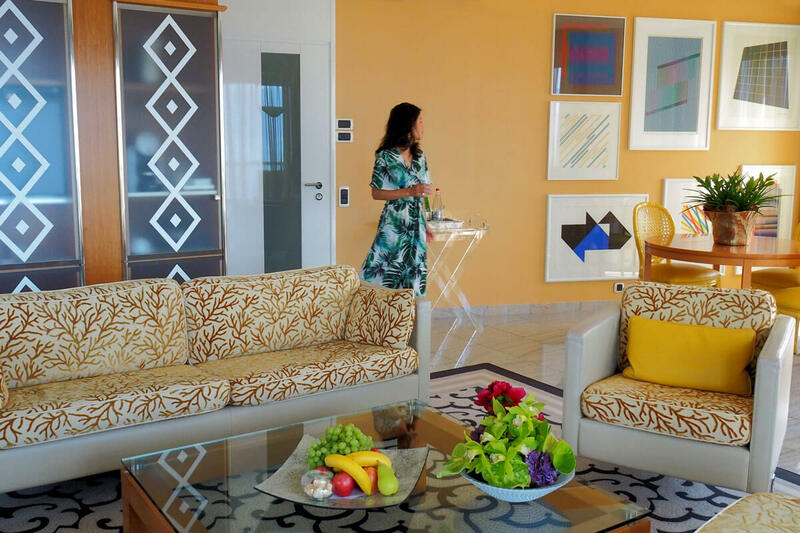 The living room walls are adorned with contemporary art that deserves a closer look. In general, the decor and furnishings are rather eclectic. But yet, all the shapes and textures harmonize to create an environment we hardly want to leave. A breakfast buffet that leaves no wishes unanswered. The modern interior design runs through the hotel like a thread and does not stop at the next morning's breakfast restaurant. There are fabric covered pillars and a shiny ceiling that reflects the strong southern sun from outdoors. Funky chandeliers hang like clouds, and the illusion would be complete if only a Baroque madame were seated in one of the oversize chaises. 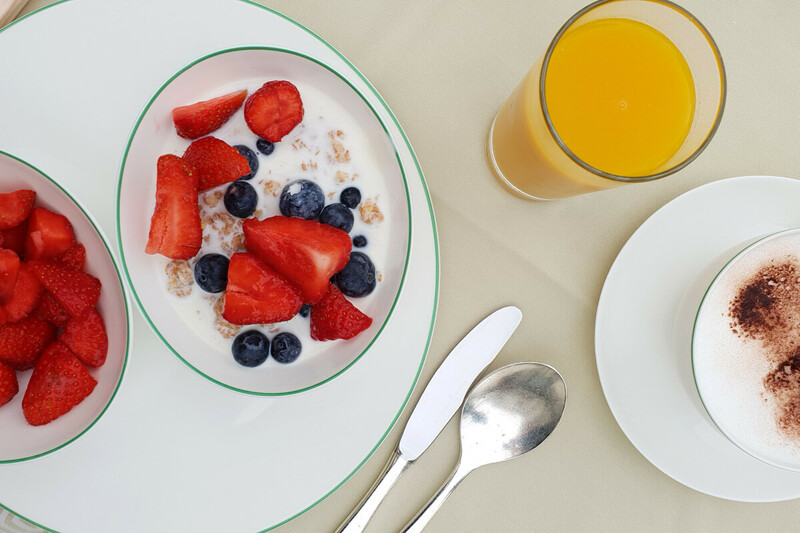 The breakfast buffet is extensive and proves to be just what we need to kick off a day of adventure. A staff member welcomes us and proceeds to show us to our table under the blue sky. As we pass the buffet, I am particularly intrigued by the selection of colorful fresh fruit: there are strawberries, blueberries and even passion fruits. Also, several local Ticino cheese varieties and salami meats, smoked salmon or bread with homemade jams. Mamiko zeroes in on the à la carte menu and orders: pancakes. 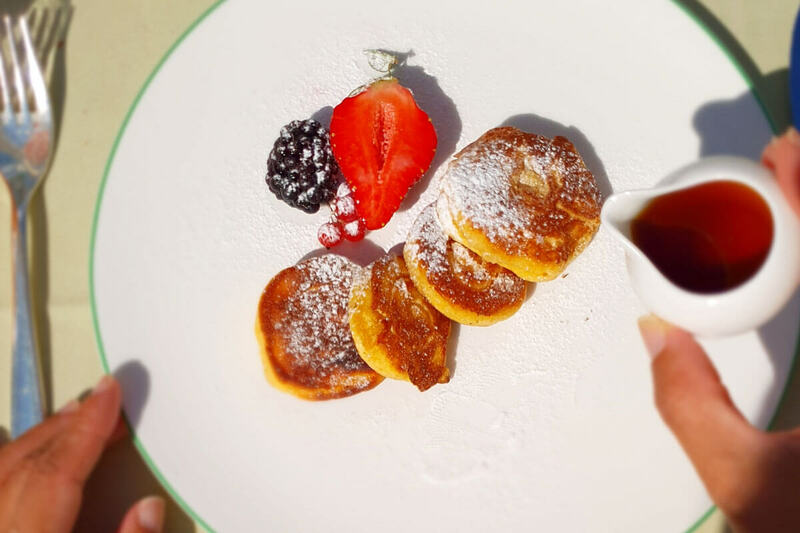 She would repeat this the following day - the kitchen's miniature pancakes are the epitome of fluffiness! In short: the buffet leaves no desired unanswered. 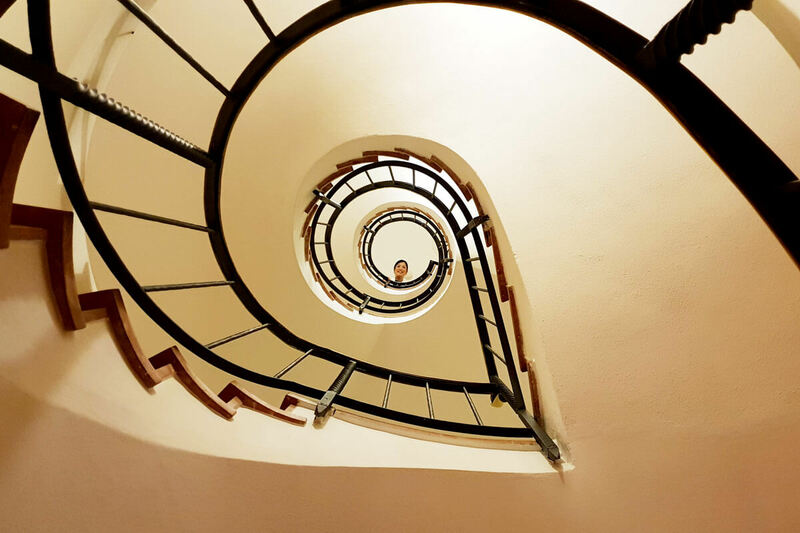 Throughout the sprawling hotel premises, there are many hidden details and interesting vantage points. 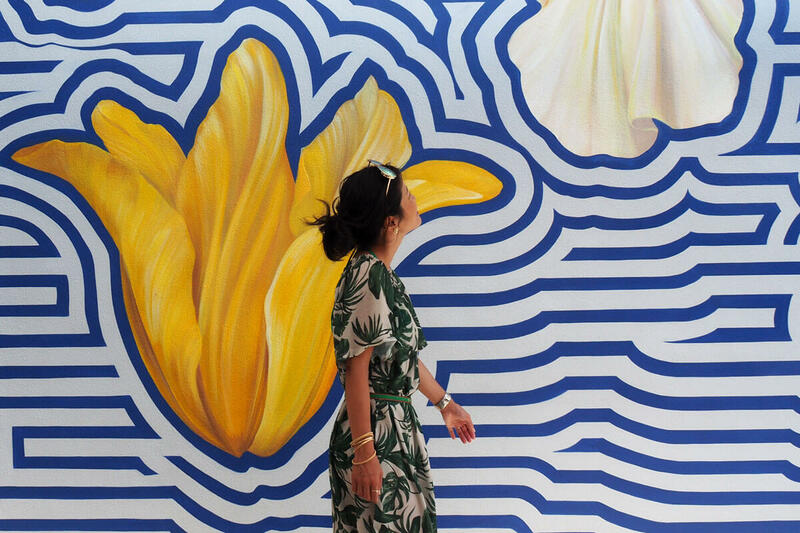 Whether it be the cozy stone benches by the lake or a generous wall mural with giant blooming flowers - it pays to take a stroll and explore this place. 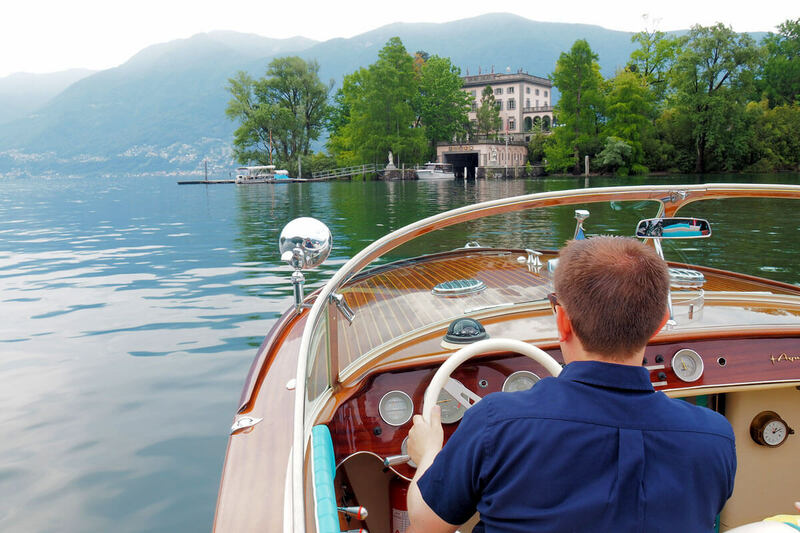 A private boat excursion to the tropical Brissago Islands. 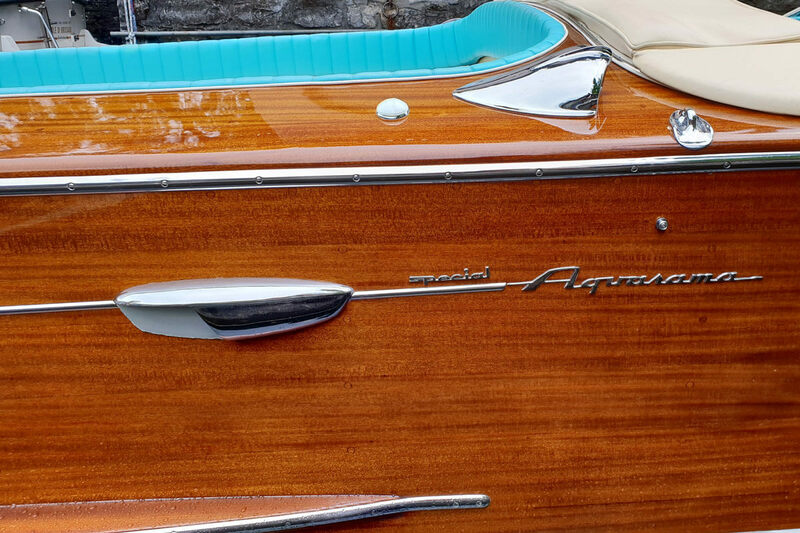 Our captain, Mr. Marco, is supposed to give us a lift to the tropical Brissago Islands - or is he? Surprisingly, these tropical islands that lay about two nautical miles away from Ascona are still a part of Switzerland. And it is a curious fact that the Brissago Islands not only have the mildest climate in all of Switzerland (never below freezing), but that they are also the lowest point in Switzerland. 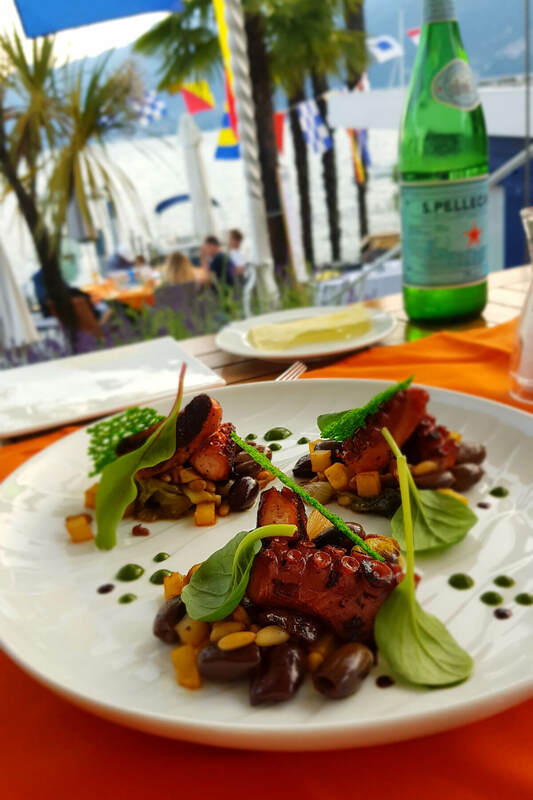 Dinner awaits at the lakeside Marina Restaurant. After all the day's fun, we retreat to our suite to get refreshed. 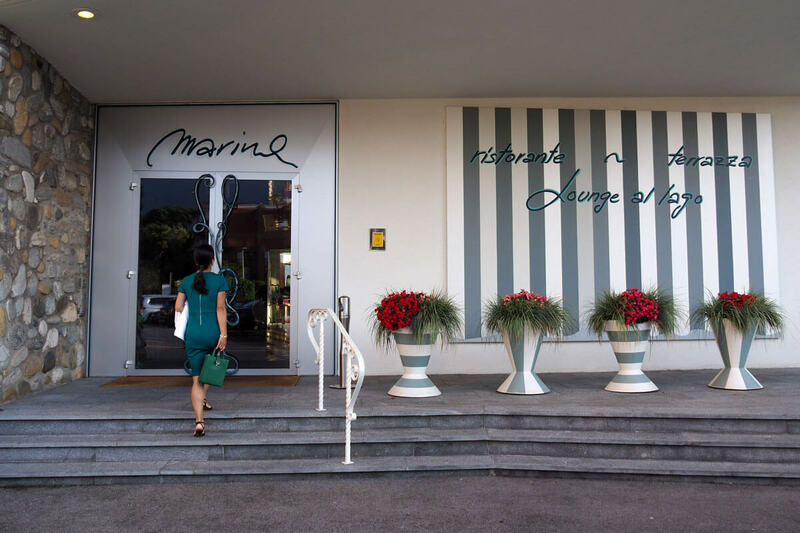 Our dinner reservation is at 8 PM at the hotel's own Marina Restaurant. The kitchen of Salvatore Frequente, the Sicilian chef with 14 Gault Millau points, is infused with Mediterranean flavors. On the menu, we find grilled meats and sea food, as well as a variety of pasta dishes. We are seated on the outdoor terrace with views of the lake. We appreciate hotels who serve their own vintage, and so we order a refreshing white Merlot to accompany our sea food dishes. 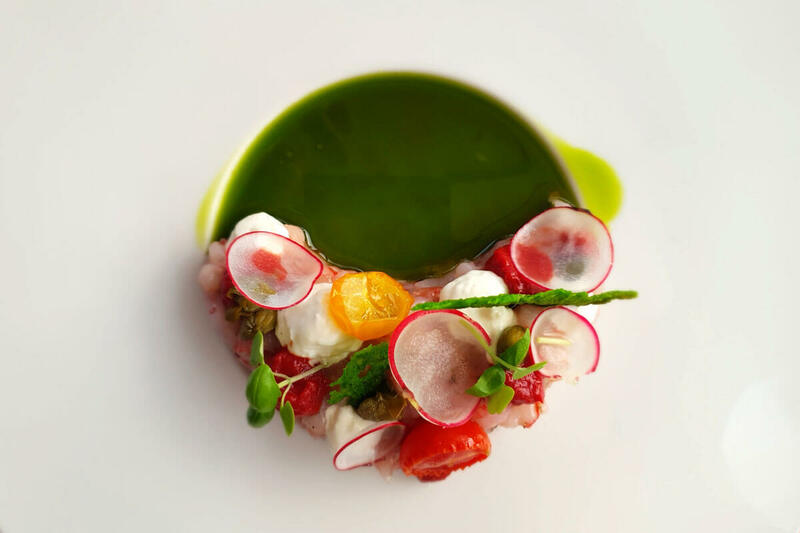 When my appetizer is served, all eyes are on the plate: the Caprese Marina "salad" is not only exquisite in terms of looks, but also in terms of taste. Mamiko goes straight for polpo arrostito, a medley of grilled octopus on a bed of potatoes, olives and pine nuts. Let's say she arrived in octopus paradise, and the rest is history. 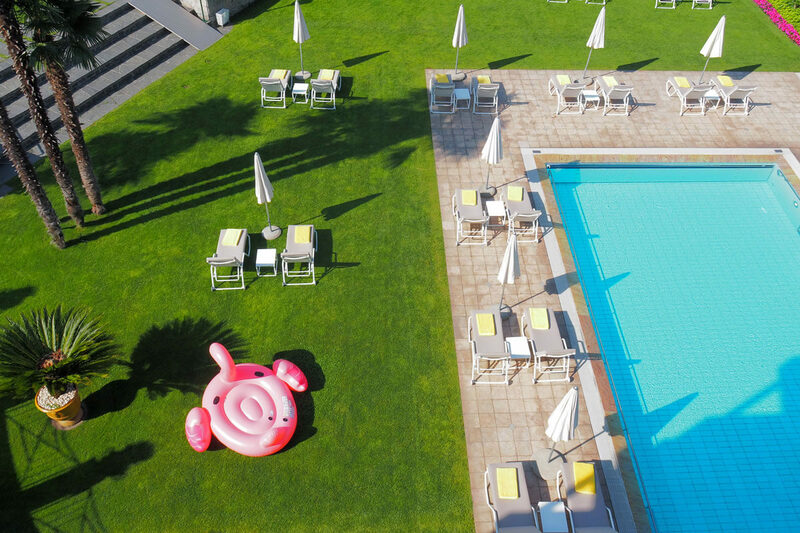 More information about Hotel Eden Roc in Ascona. 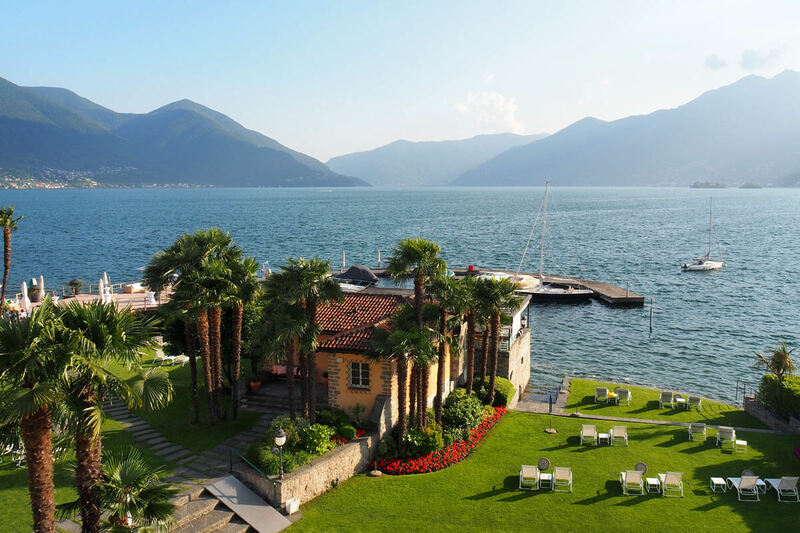 The hotel grounds face Lago Maggiore, providing exclusive lake access thanks to two beaches and a marina. 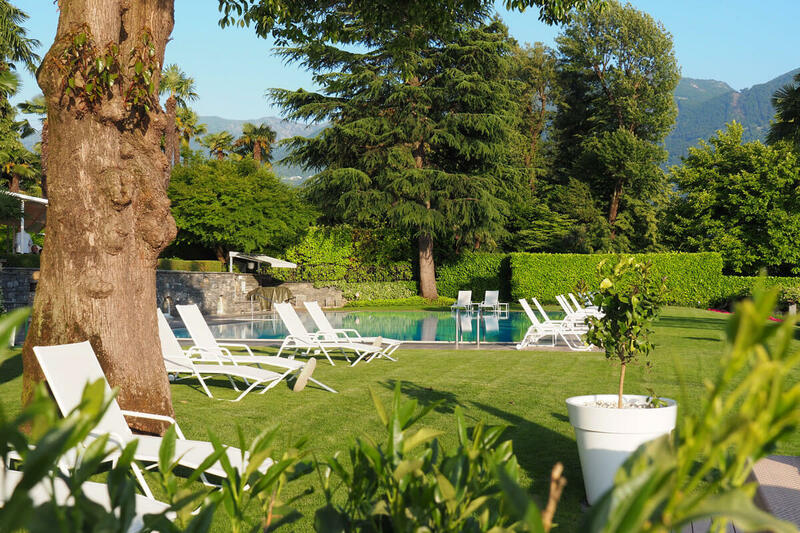 Located at one end of Ascona's pedestrian walkway on a private property, the Hotel Eden Roc sits apart from any tourism frenzy. At the same time, it takes but a few steps to be in the middle of Ascona's pedestrian zone with ice-cream parlors, restaurants, live music and bars. 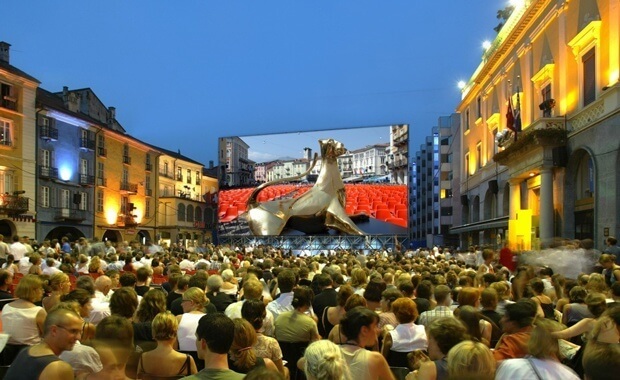 When making an overnight reservation, ask for a complimentary pick-up at the Locarno train station. As a guest, you will have access to free scooters, e-bikes and city bicycles to explore the area. For water sport enthusiasts, the hotel provides free kayaks and SUP's. 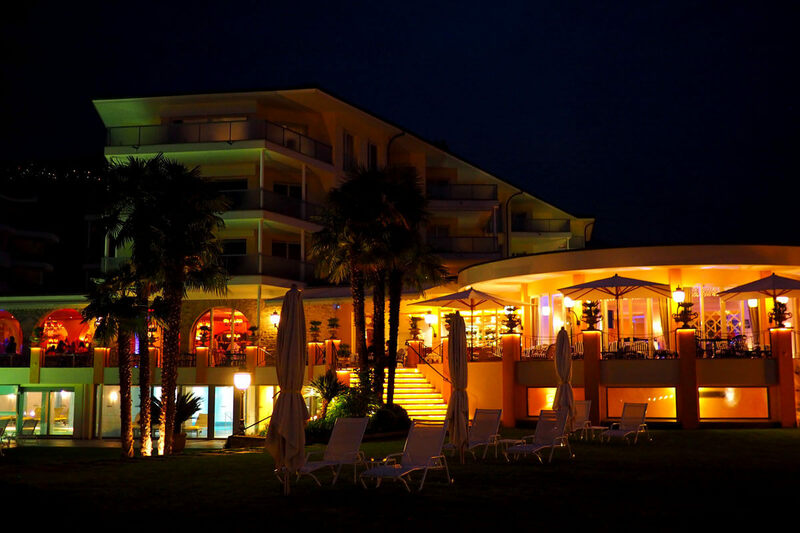 And finally, the Eden Roc Ascona hosts the Safari del Gusto kitchen party every spring during which the employees will act as rangers who will take you from station to station.